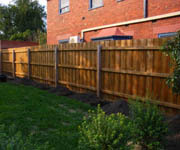 Successful evergreen privacy screening plants for Melbourne include: Camellia, Conifer, Lillypilly, Blueberry Ash, Callistermon, Evergreen Magnolia, Pittosporum, Photinia and Olive to name a few. Click on thumbnail images below to see a larger image and for more specific plant details. 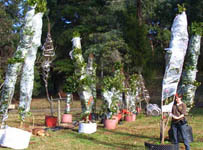 Evergreen Screening, winter flowering Specimen Plant Tall Mop Tops Tall pleached specimens for under planting or above fence screening. Particularly lovely as an avenue or in a narrow side pathway where space is at a premium. Detailed flower photos of each cultivar. Elaeocarpus reticulatus has pretty pinkish or white cup-shaped flowers with fringed edge along the branchlets. 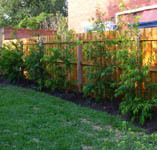 Native evergreen excellent screening plant, small tree or tall shrub approximately conical form. 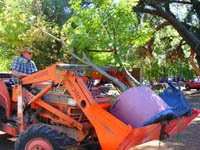 Low maintenance, tolerates low nutrient and dry soils, will grow in shade through to full sun. Extended floral display with a fruiting season generally, April - October. Lemons and Limes suitable for Melbourne and coastal regions. Cumquat and Grapefruit, Oranges and Mandarin, Espalier form. Evergreen Screening. Instant Screening. Fast growing. Lagerstroemia indica offers abundant summer color with a minimum of maintenance, long-lived, and drought tolerant once established. Slow growing, and brittle wood. Soft fern like leaves, brilliant luminous green, turning bright yellow in autumn. Lovely weeping shape, fantastic feature tree or small shade tree. Photo demonstrates the size of our advanced stock. 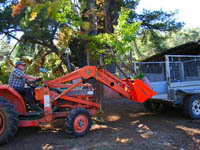 Delivery is available with a ute, van with tail gate lifter or with crane truck.